Google is developing a full-fledged Android OS for cars, giving connected cars a tighter, more familiar platform to work on. Connected cars are not a laboratory blueprint any more - automobile researchers around the world have started rolling out car-specific telematics across multiple segments of cars. The objective is to provide a connected web that collates, exchanges and governs on-road data from cars pertaining to road and weather conditions, as well as car dynamics. These will facilitate a wide network of vehicles that can be safer, predict smarter routes, prevent untimely breakdowns, and provide a higher value of information and entertainment in our forever-connected lives. As a result, it was no surprise when Google decided to take its automotive technology efforts a notch higher by deciding to integrate Android directly into cars in the future. The Internet giant has been exploring this model for a few years already, and we first caught wind of Google’s intentions about a year ago. With Android Auto (AA), Google made its initial foray into in-car technology, and AA has subsequently found its way to a wide range of infotainment systems offered by car makers as of today. However, Android Auto relies too heavily on the smartphone, and Google had no intention of remaining confined within the limits of what a smartphone can achieve. The solution? Use the already-versatile and massively popular Android OS to build a standalone OS for cars, just like Android Wear (now Wear OS), Android TV and other such sub-OS’s. Last year, Google struck a partnership with Volvo and Audi to sign them up as initial participants of the ‘Android in cars’ programme. Volvo’s Sensus and Audi’s MMI infotainment systems have been among the most critically acclaimed in the industry, with Volvo in particular having already been appreciated for the near-tablet like functionality it provides with its portrait-oriented infotainment system. 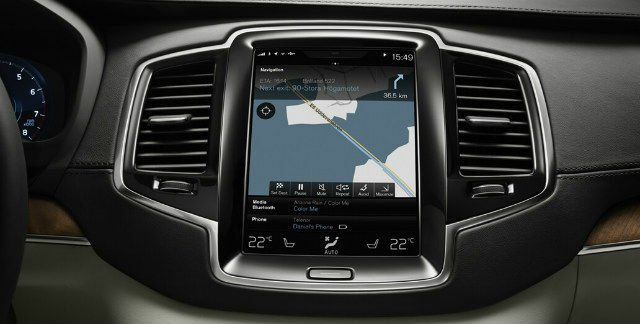 This gives Volvo an edge, making it the forerunner to present this technology to everyone. 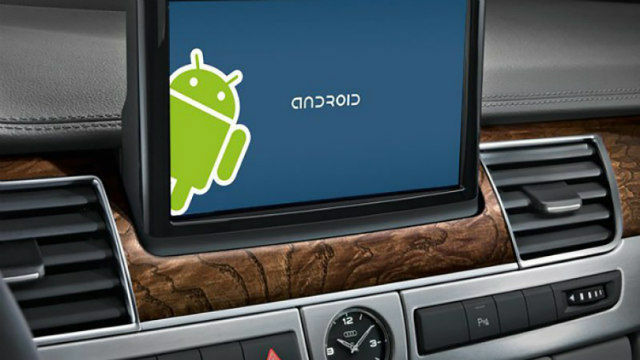 What is Android in Cars? At Google I/O 2018, Volvo and Google introduced the future of Android in cars with a demonstration of the system in the new generation Volvo XC40. Android in cars essentially converts its already-fantastic and critically acclaimed tablet-like infotainment system into an Android tablet/smartphone. With connected car ecosystems growing steadily, Volvo's cars in the near future will include inbuilt connectivity, with Android powering its connected car and vehicle-to-vehicle communications. You will soon get a full app store and an AI assistant in your car! The new system works independently of smartphones, and just like an Android device, you can simply log in to the system with your Google account. The features, though, include much more than just media settings - since this is an exhaustive car ecosystem, you can actually store and synchronise all your memory settings to your Google account logged into the system. For instance, every user account in the new Android-powered system saves settings for the memory seats, steering wheel and mirror positioning, which was previously taken care of by custom driver profiles. While that remains the same, what you will majorly benefit from in this system is that once you log in, you also get access to all your saved preferences via the Google account, including saved locations, calendar entries, speed dial contacts and more. This essentially helps in a more seamless usage scenario, with integrated Google Maps in the system itself. The new system also gets its own optimised Play Store and the Google Assistant, which powers all the voice actions. The system is also open to third party developers, who can also build car-specific apps with minimal driver distraction and novel features in mind. Every option, from app interfaces and shortcut buttons can be custom-built, just like in any Android ecosystem. This makes the system far more versatile, and can offer a wider range of native apps for the system. It will also help in easier synchronisation of vehicle-to-vehicle connectivity, which will form a crucial part of the automotive framework in future. With Android Auto, Google presented a considerably rudimentary way of getting Android OS in cars. Android Auto works like an app on a smartphone, with a bunch of services under its umbrella. It uses the device’s wireless connections to mirror the phone’s display to a compatible head unit - namely, car companies that fit a display larger than six inches, and subscribe to Google for its Android Auto services. This essentially does not give the car itself any integrated connectivity, and works the same way as a standalone smartphone would. Once you set up Android Auto in your car, you can view Google Maps, attend handsfree calls, access integrated Google search with voice, and get incoming SMS and message read-outs from WhatsApp, Hike and a few other services. If you have local music on your phone, it will automatically sync under the Google Play Music tab, and only a select few music streaming services are supported through Android Auto, but have to be downloaded to the phone. With Android in cars, you can get all of this, and some more. To begin with, running Android directly in cars provides a uniform framework of code for all car manufacturers and developers to work with. 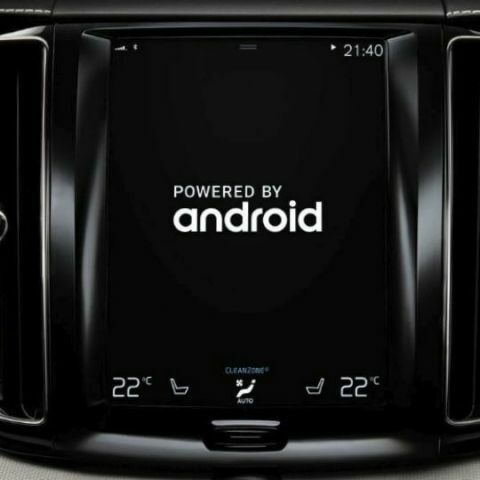 Take Volvo’s Sensus infotainment system for example - once Volvo’s switches fully to Android in cars, the Sensus interface will still remain, but as a custom interface designed on a modified version of Android OS. This is exactly the same as the many custom UIs that smartphone manufacturers present on their devices. Use your already-active Google account to learn your preferences, and suitably suggest music, radio channel, podcasts, etc. These six key factors, Google hopes, will make Android in cars a norm, just like it is today in the world of smartphones. Connected cars have long had the need for a unified open source platform, which not only helps in easier adoption but also leads to a safer base with faster debugging whenever needed. With Android, what connected cars will also get is a full-fledged store of apps and a large developer base, and the list of apps being optimised for in-car usage is bound to grow. Back in 2010, Nokia rejected Google’s advances to work with Android OS on their devices, sticking to Symbian as their choice OS in flagship devices. Eight years and a full cycle of crash-demise-revival later, Nokia is but a shadow of what it once was, when it ruled the world of mobility devices with an iron fist. While the situation in the automotive technology industry is not particularly similar to Nokia’s, it is an important precedent to follow. We live in a mobile-first world, where all our settings and preferences are set up and synchronised with our email accounts, and most of our times are spent accessing information of some kind through phone screens. With increasing congestion and the impending rise of in-car connectivity, doesn’t it simply make sense to have a smartphone-independent unit in your car to operate with? Android is the future of connected cars, and Volvo and Audi is possibly only the first patrons of yet another network that Google plans to dominate. With native apps (and a fully-stocked Play Store with every genre of apps), the integrated, AI-powered Google Assistant and standalone calling, messaging and emailing capabilities, Android is the perfect future from end-user perspective. From the technology perspective too, Android in cars provides a readymade framework of servers for companies to build security protocols on. It can also help companies retain their custom interfaces, while providing the goodness of a complete App Store, full-fledged internet connectivity and a competent AI assistant. It is this that will form the immediate future for connected cars. Is there any ANDROID OS for Laptop ? Is there any Android Os for laptop?